They say when you’re growing up that your family is the first school you attend; teaching you important life long skills. 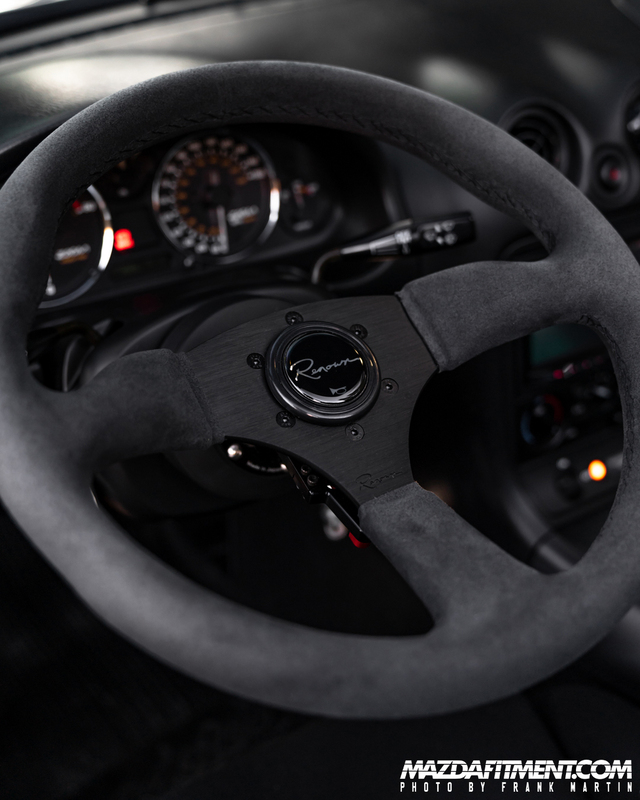 This was the case for Frank Martin and his 2002 Black Mazda MX-5 Miata from Los Angeles, California. Growing up Frank started helping his grandpa who was a mechanic for VW; learning the in’s and out’s of a car. Eventually this lead him to purchases his first NB Miata from his friend Mike because he was looking for a good commuter car, and it was in good condition. It was long before Frank bought another NB Miata that his buddy Garrett found. It was bone stock with low miles. 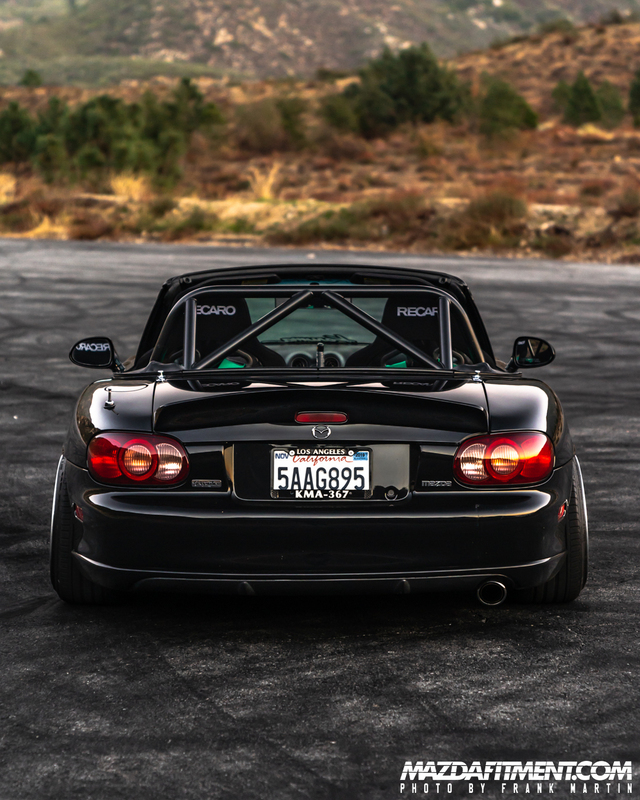 He swapped a few parts from the first Miata to the new one, and sold the first Miata. Then the build began with what we see today, the 2002 NB Miata with ~76,000 miles on the engine and chassis. 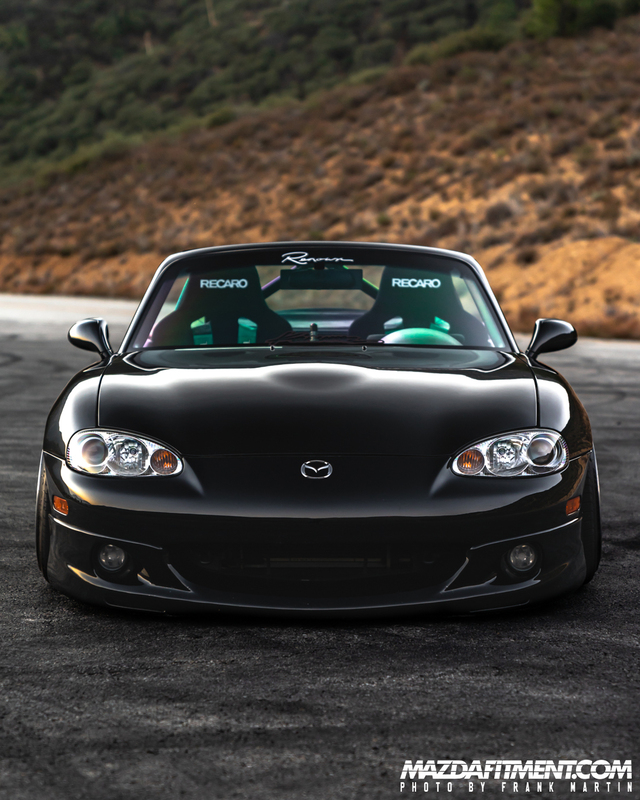 In time Frank transformed the car with Mercedes black paint, OEM Mazda front/rear bumpers and lip, OEM Mazda side skirts, OEM Mazda hardtop, Project G roof spoiler and side splitters, and Track Dog front splitters. For safety purposes for having a convertible he got a Hard Dog roll bar, which definitely adds some style to the car as well. 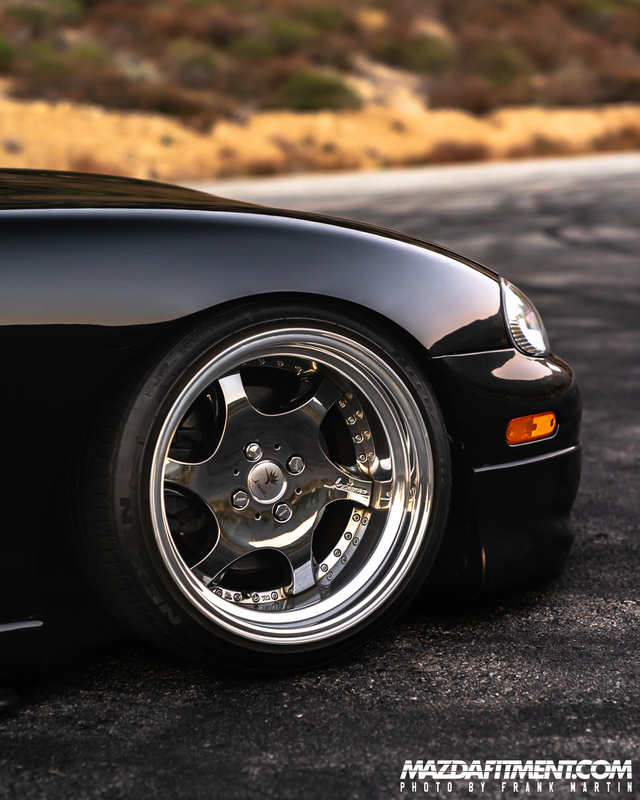 Frank fitted the car with Weds Kranze Bazreia in 16 x 9.5 all around, and with D2 Racing air suspension. 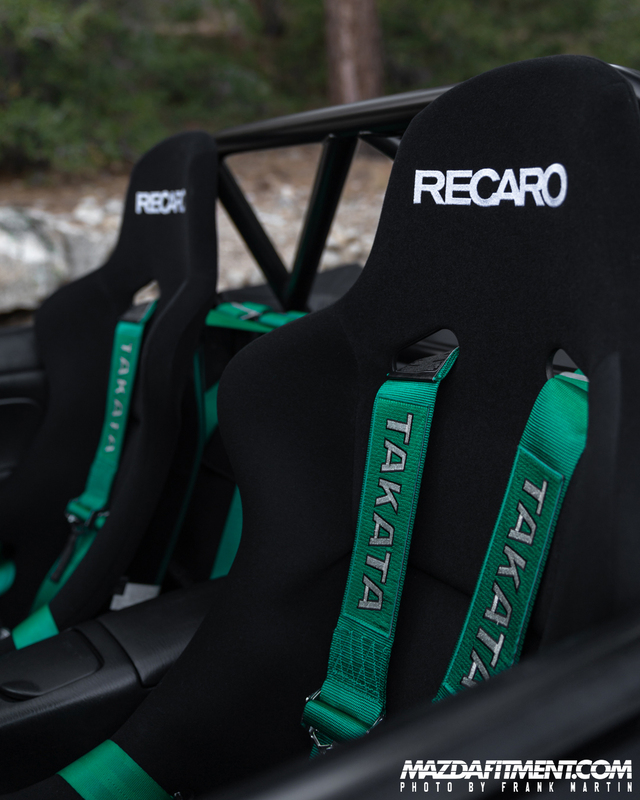 In the interior we see some highlighted items; Recaro aftermarket seats with Takata harness, Renown 130R steering wheel, and Sapparo beer tap shift knob. With Frank’s NB Miata at near completion and his love of the Miata platform, he is currently building a NA Miata, which we will probably hear more about it soon. 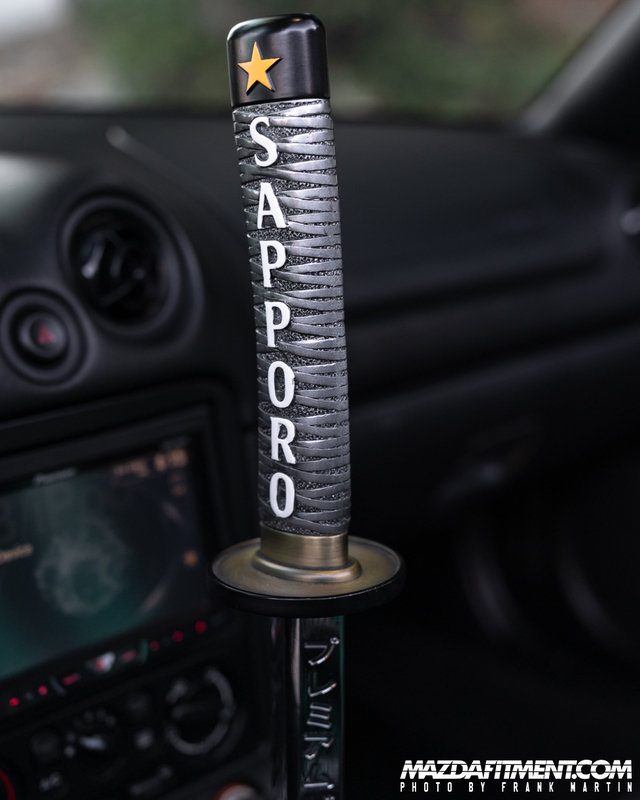 Frank would like to give a massive shout out, and much love to his Karuma brahs and the Mazda Fitment fam. We hope you enjoyed this one. Outstanding car Thanks for photo’s.